Since 2008, Koo Koo Kanga Roo have been touring and putting on shows at elementary school gyms, bars, church basements and even nursing homes. The duo has toured stateside and internationally with the likes of Frank Turner, The Aquabats, MC Lars, Yo Gabba Gabba Live and have been featured on the Vans Warped Tour. In 2015 the band played over 150 live shows. In my lifetime, I've seen Gwar devour celebrities on stage, I've seen Converge play in my friend's basement, and I've seen Bad Luck 13 Riot Extravaganza nearly burn down a sports complex. But this is the weirdest f-ing show I've ever been to. And I was dragged here by, of all people, Frank Turner. 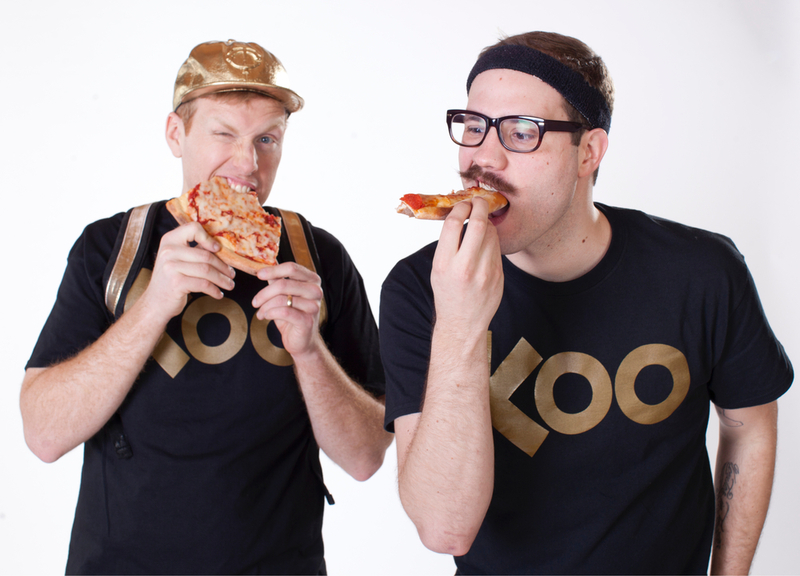 Koo Koo Kanga Roo are two guys named Neil and Bryan (first names only, please), who together are the epitome of the love them or hate them musical act. Hailing out of Minneapolis, Neil and Brian first began fusing their twisted hip-hop and dance music with kindergarten memories about four years ago. Since then, they've done major tours with the likes of Reel Big Fish and have garnered an audience that ranges in age from 4 to 24. With these guys, it's just iPods and costumes as they lead crowds in sing-a-longs concerning the best sounding letters in the alphabet and the joys of eating sandwiches without the crusts. Kind of like a really demented and even more nerdy version of They Might Be Giants, Koo Koo Kanga Roo want everything to be as dance-minded and light-hearted as possible. Take the goofy synth-punk of Atom and His Package, mix it with the party-friendly vibe of Andrew WK and use that combination to write the scripts for an upcoming kids' show to go head to head with Sesame Street, and you might get something like Koo Koo Kanga Roo. Or you might not. Because the mix that is Koo Koo Kanga Roo might be too bizarre to replicate. A pair of jaded indie rockers who decided that they could have more fun playing music for a party that anything too deep or introspective, Koo Koo Kanga Roo is frightfully bizarre and hopelessly fun. If you ever just want something to crank at a party that will make everyone happy, this stuff sits right up there with classic stuff like the Ramones.